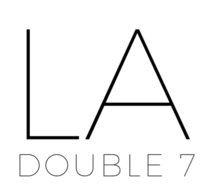 Striped – LA Double 7, Inc.
Dual patterns are great for creating various different looks with many outfits! One side of this oblong scarf features a black floral pattern, while the other side contrasts with red and white stripes. Constructed with a warm acrylic knit, and features small fringe in two-tones for added style! Can be worn as a blanket scarf, shawl, neck scarf, and more! The pairing possibilities are endless. This essential cream scarf features blue and red stripes adorning the bottom. Composed of a warm knit fabric, perfect for the cool seasons. Feels soft to the touch and offers extra warmth and style to any casual outfit. Transform any outfit from eh to ah with this gracefully constructed scarf, in a slew of covetable colors and stripes. Yellows, blues, greens, and more–all colors that compliment each other. This is an absolute must-have accessory. Pink stripes embellish this oblong scarf, contrasting against the grey underlay color. Wear simply as a classic neck scarf, or style as a shawl-wrap with a belt. Comprised of various materials to create a soft and semi-thick texture. This accessory scarf can be wrapped many ways, and is great to sport throughout the seasons! Style your look with this grey fringed oblong scarf! Oblong scarves are fun to accessorize with, because they can be wrapped multiple ways! Comprised of charcoal, grey, white and beige stripes. Made of a mix of materials that create a lightweight and breathable fabric, although can offer warmth if double-wrapped. Our burgundy scarf features horizontal stripes, and a multi-color chevron pattern throughout. Features an array of red, yellow, black and white tones. It has the texture of a soft, light cotton material, but can be wrapped multiple ways to increase warmth. Add some excitement to drab casual looks by pairing this multi-pattern accessory! Our grey/light blue striped scarf features a subtle sparkly, shiny yarn running throughout. Glisten under the sun with this glamorous accessory. Neutral color scarves serve as a versatile piece, as they can be paired with multiple outfits. Imitating the feel of a luxurious cotton-blended material, this scarf is truly made to be utilized in every season. Turn a drab look into a fab look with our grey sparkle scarf! Our airy scarf is made with light polyester fibers to create a glamorous semi-sheer look. Features abstract blue and pink patterns created by our in-house designers. Exceptional quality and suitable for warm-weather ensembles. Wrap as a chic headscarf, because of the breathable fabric, or as a classic tied neck scarf. Big enough to wear as a wrap or shawl, but fine enough to gather up and wear as a scarf. This accessory is available in fuchsia, olive, black, khaki, and grey. Subtle stripes run down this oblong scarf, while delicate frayed fringe decorates the hem. Perfect addition to any fashionable outfit! Our chic triangle scarf is styled in a soft cotton material and tassels that trim the corner hemlines, for a fabulous way to layer your look throughout the seasons. In addition, our unique striped scarf is versatile enough to wear with jeans or your dressiest outfit. Customers can wear this as a head scarf or wrap around your neck for optimal style! Also, the triangle shape of this scarf makes it very easy to tie and manage. This versatile accessory is a perfect accent to any ensemble. Featuring a lightweight polyester construction, and embellished with a stripe print and a distressed hemline. Make a stylish statement with this oblong scarf, available in four versatile shades. Soft, cozy and bordered by fringe, this multi-striped oblong scarf adds warmth and style to any look. The neutral tones makes this a versatile scarf to wear throughout many years. Comprised of cozy acrylic-blend fabric, wrap this as a shawl or loop around your neck. Available in classic colors. Add this essential scarf to your wardrobe! Showcase your chic style in this plaid cream and blue scarf. This super soft and lightweight oblong scarf is versatile and can be worn throughout the year. Pair with casual looks for optimal style.